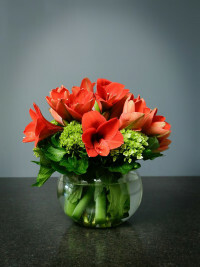 Some flowers do not need any help creating the perfect bouquet. Amaryllis and Hydrangea. The perfect combination for any occasion.